I’m not gunna lie. When I think of artichokes, I think of lots of work in the kitchen and that’s simply time we just don’t have, right? I usually revert to the canned artichokes, drain them and then roast them, however, I do my best to refrain from the canned items due to their sodium count and whatnot, so…I bought a bunch o’ artichokes and had a bit of fun. Just Me, the Chokes and a hot Grill. Now, picture that in a tiny Manhattan apartment. Not too time consuming, not too intense, these grilled artichokes are delicious hot, room temp or chilled. I created a tasty Basil Curry Sauce with cashews, avocado, fresh basil and curry paste for a fun dipping sauce that you can spread atop these grilled chokes. I’ve even been using the left-over sauce to spread atop baked tofu and ontop of my eggs and toast. Pretty nifty, huh? So, go ahead. Strike up that grill. It’s 60 degrees in good ol’ Manhattan today and Spring is a comin’! Yeah. It’s grill time, people. Fill a Dutch oven with water; add juice of 1 lime. Carefully trim leaves from artichoke tops and remove outer layers of leaves. 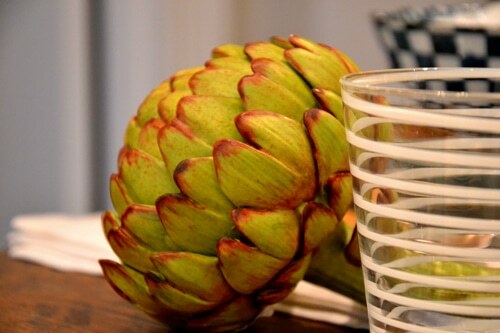 Slice an inch off the artichoke stems and place each artichoke into the lime water. With all 4 artichokes in the lime water, cover the Dutch oven and bring to a boil; boil for 15-20 minutes or until artichokes are soft and tender. Transfer artichokes to a plate and let cool for approximately 5-10 minutes or until safe to handle. Meanwhile, preheat grill to medium-high heat. Slice each artichoke in half, lengthwise. Spoon out the inner fuzzy layers of the artichokes ‘the choke’ and brush each half with oil, then sprinkle with sea salt, pepper and chili powder. Transfer artichoke halves to the hot grill; grill until tender, approximately 7-8 minutes per side. 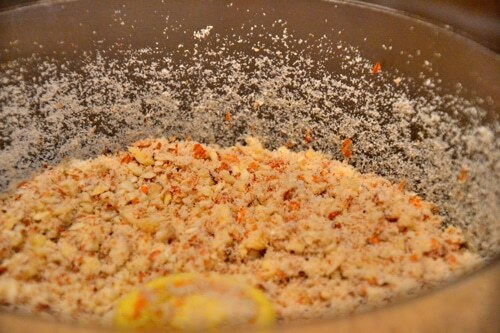 In a food processor, combine curry paste, basil, cashews, avocado and orange juice; process until smooth and creamy. 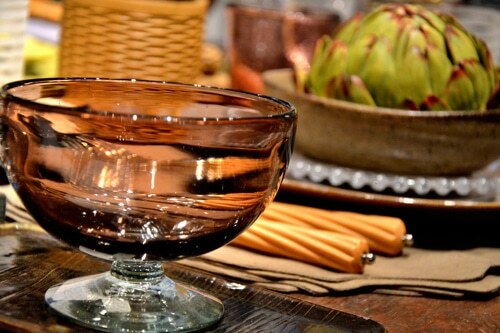 Transfer to a bowl, cover and place into the fridge until ready to serve. 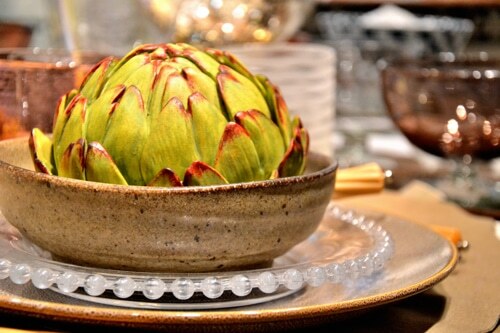 Remove artichokes from grill; place onto a serving platter. Drizzle with the juice from one lime and serve with Basil Curry Sauce. 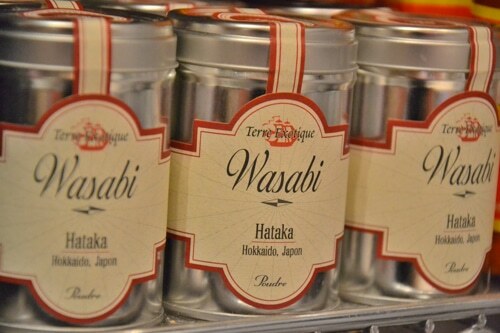 Serve chilled or at room temperature dipped into Basil Curry Sauce. For all you New Yorkers out there, I recently stumbled upon this adorable little Manhattan dining spot, Sorella, which has a delicious fresh menu and lots of gluten-free eats (minus the pasta) as I’m loving the thought of this Kale Salad they have. Has anyone ever dined here? I think I’m going to try this spot out over the weekend. Looks yummy, doesn’t it? GreenGoose is a real-world game platform with wireless sensors that automatically measure things you actually do. The application automatically measures things like getting exercise and brushing your teeth, and these behaviors are measured and wireless transmitted and stored in a database. “Lifestyle points” are assigned as you do things in the real world. FollowUp.cc is an e-mail reminder service. Users can automatically schedule follow-up reminders when they send e-mails, or forward e-mails in their inbox to the service with a scheduled follow-up time. You can snooze reminders, and integrate it with your e-mail calendar and services like Salesforce. Evo is a smart baby monitor that connects to your mobile phone wherever you go. The next-generation baby monitor sends text messages or e-mails to your mobile phone and computer, and lets you hear what’s going on in your baby’s room even when you’re not at home. You can use your mobile phone to turn the monitor on and off, and to adjust the settings. Chirply is a community of artists and design lovers who want to make better stuff through better design. Artists and designers submit designs on Chirply, the community votes on the designs and the best ones are made into greeting cards. Enjoy your weekend, Foodies…it’s supposed to be a bit warmer here in the city so I’m excited for a bit of fresh air and sunshine. Who’s ready for flip-flip season? I surely am. Springtime, here I come. Thanks Gabe; great to hear from you! Have a wonderful weekend. Gorgeous pics my love! I”m so sorry I haven’t called you back yet! Love you miss you! You had me hooked at basil curry sauce! Aww; you are fabulous. Thanks Cara, so great to hear from you and I hope you enjoy this recipe…it’s delish and I’m lovin’ this curry sauce on everything from tofu to rice and these tasty artichokes. I love anything with artichokes and that one is gorgeous! Curry scares me a little sometimes but I think I would love it this way! Thanks Alli; I hope this Curry Sauce doesn’t scare you, hehe…it’s delish and I love it, I’ve been using the leftovers on all my salads and grilled tofu dishes. Have a great Sunday! Thanks Melecotte; hope you enjoy it! It’s a yummy one.